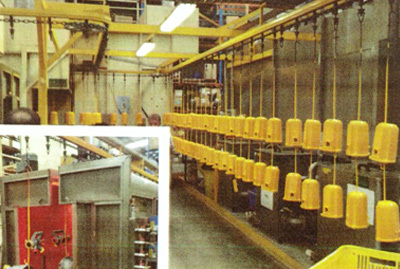 A workpiece moving towards a powder coating booth will have to make a quick U-turn if it's not pre-treated. That's right, parts that haven't passed a preparation stage can't experience the full power of an electrostatic bay, not unless they're already in virginal condition. 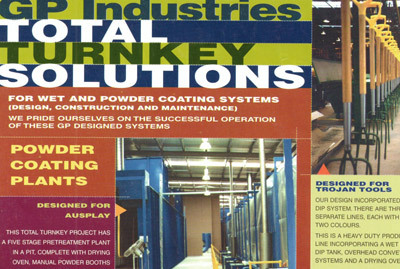 Here's what needs to happen before a part is exposed to powder technology, a look at the pretreatment process of materials before the powder coating process engages. Bleeding-edge protective coatings uniformly blanket metal surfaces when the part enters the electrostatic station, but this critical stage suffers if a surface isn't absolutely clean. Abrasive mechanical techniques partner with chemical scouring processes to ensure this absolutely clean base is verified as ready for the coating line. Dirt and oily deposits corrupt the coating, but so does the rough geometry that causes veneer deformities. The tool of choice in this instance is a sandblaster, an abrasive mechanism that will erase scratches and surface irregularities so that the exterior skin of the object is left smooth and ready for the powder medium. Corrosive chemicals are hazardous, but they have a prominent role in the pretreatment process. Caustic acids strip away layers of oxidized metal. From here, several avenues of cathartic cleansing power are on call, although these branches rely heavily on the base metal. Aluminium alloys, for example, benefit from the aforementioned acid dip. Conversely, a mild alkaline cleansing agent is mandated. The choice between the two caustic fluids really depends on the contaminants and the type of alloy entering the pretreatment bay. A meticulously scrubbed metal part can definitely be classed as finished and ready for the powder treatment line, but there's another option that can be leveraged first. A conversion coating adds a thin substrate to the metal part. In the case of aluminium, that thin membrane is applied as a chromate coating. Mild steel parts, on the other hand, require a zinc or iron phosphate coating. These semi-protective layers increase process adherence and subsidize the corrosion-resistant characteristics of the part. Metal wire brushes and sandblasters top the mechanically abrasive chart. 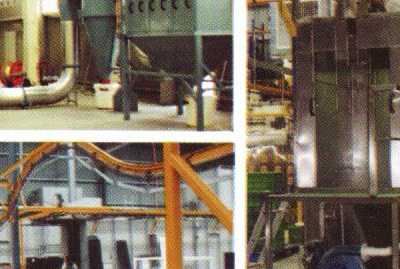 Chemical preparation work then enters the pretreatment arena as solvent cleaners and emulsion concentrates. Finally, acid and alkali baths really scrub the last oxidized particle off the metal part. The pretreatment process is concluded, although an optional phosphate or chromate conversion phase can be inserted at this point as an adherence maximizing agent.